I have a fun Kinda Crazy makeover for you guys today. It was kinda ho-hum and I really wasn't that motivated to paint it. I thought.."what could I possibly do to jazz this up?" and I saw this fun paper. I knew it was just the thing for this little nightstand. adhere it to the back. 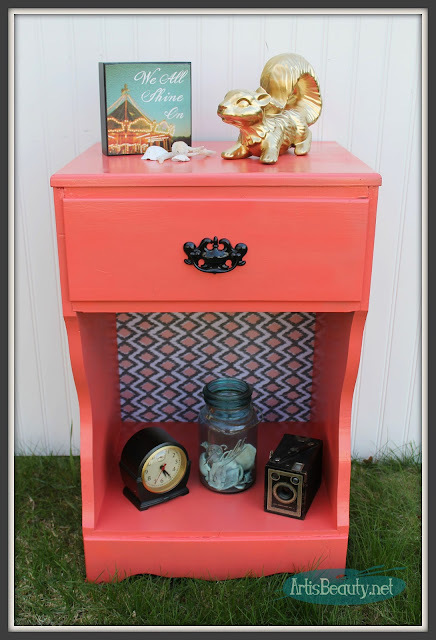 with some fun coral Rustoleum spray paint . and this color was just perfect for it. Once it was dry I popped the back on and I was thrilled with the results. oh yeah....and I spray painted the pull black to pull it all together! I hope you enjoyed this quick little makeover. Labels: Bedroom, craft, crafts repurpose, diy, furniture, furniture makeover, makeover, modge podge, paint color. 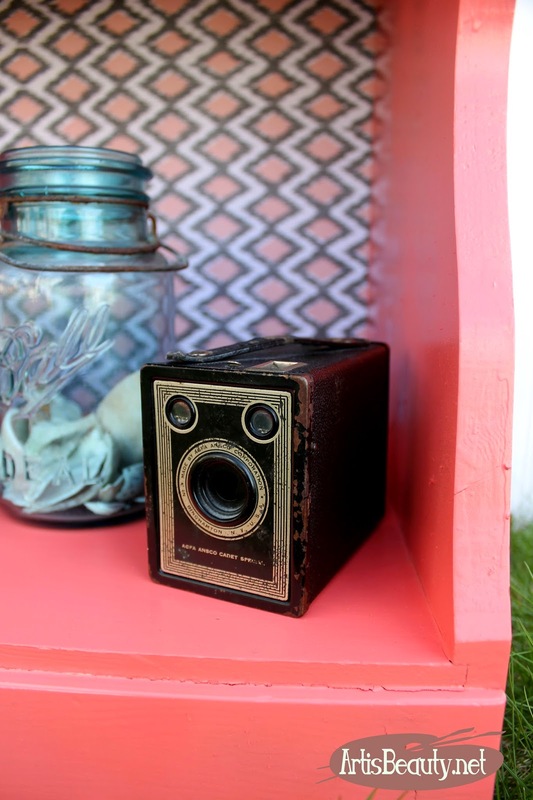 rustoleum, painted furniture, projects, spray paint.